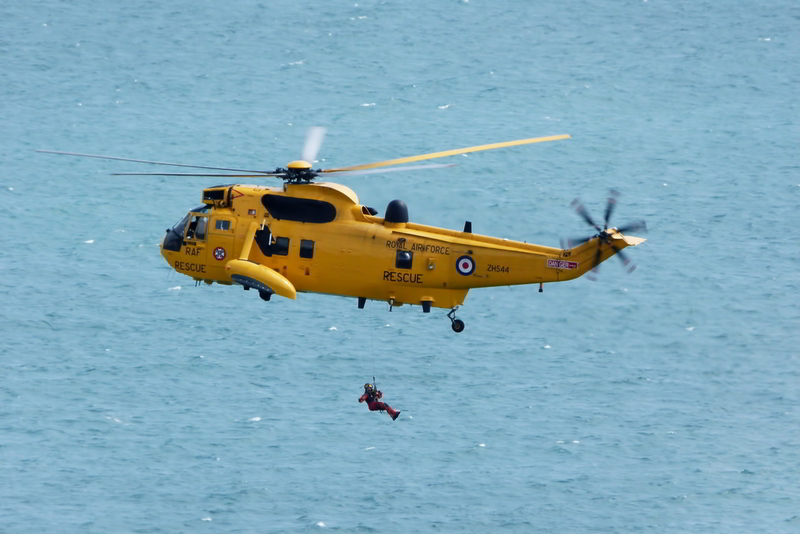 This Royal Airforce Rescue helicopter was demonstrating lifting a man off a moving boat. it was remarkable to see and the noise was awesome! Really great shots! I love the color of the heli against the blue of the water; perfect shots! Good vantage view - you seem to have caught this from a point above the helicopter. 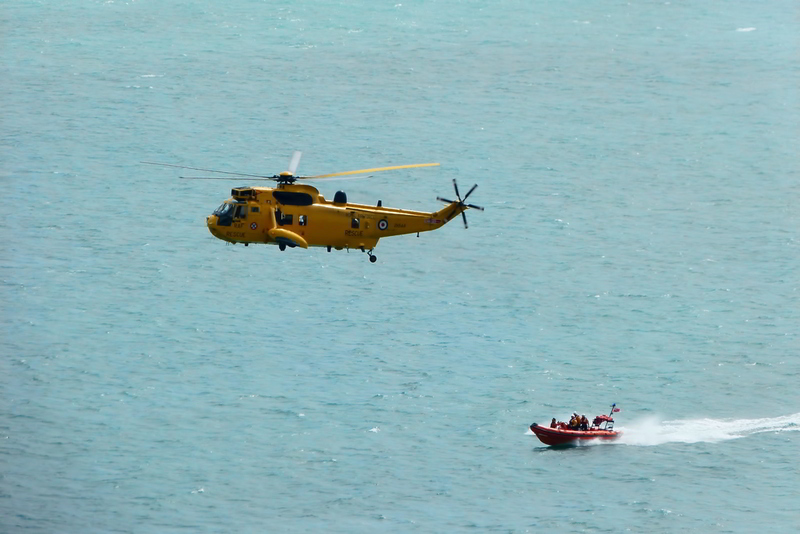 The sea blue provides a beautiful background for the yellow helicopter. Nice shots, John.